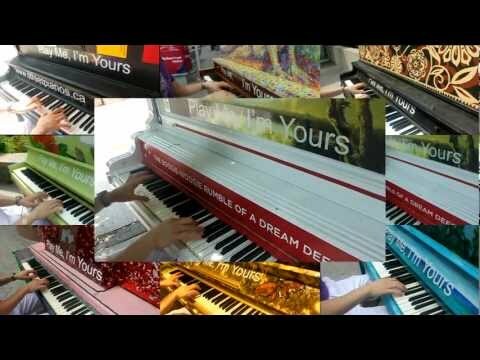 Touring internationally since 2008, Play Me, I’m Yours is an artwork project by artist Luke Jerram. 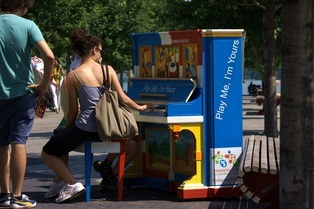 More than 600 pianos have now been installed in 26 cities across the globe, from New York to Sydney and now Toronto, bearing the simple invitation ‘Play Me, I’m Yours.’ The project has reached more than two million people worldwide, with each new city that commissions the work becoming part of a growing legacy. The Toronto debut presentation of Play Me, I’m Yours was brought to you in part by CIBC, Lead Partner of the TORONTO 2015 Pan Am/Parapan Am Games. 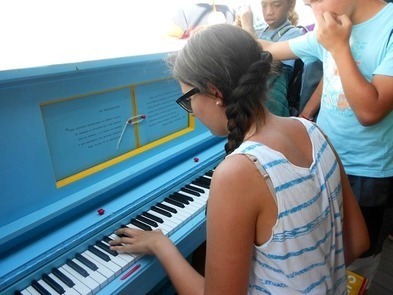 From July 11 – 31, 41 pianos were installed across Toronto in celebration of the three-year countdown to the TORONTO 2015 Pan Am/Parapan Am Games. 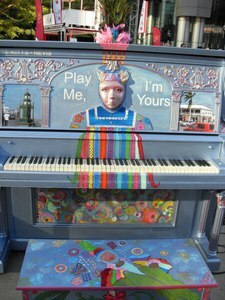 The 41 pianos represent the 41 countries participating in the TORONTO 2015 Games and each was painted by an artist from the country it represents. 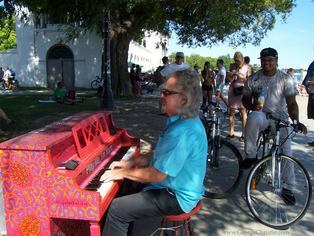 The pianos were located in public parks, streets and squares for any member of the public to play and enjoy. This website has been set up to document each piano’s journey, connecting the pianos and their communities across the city. 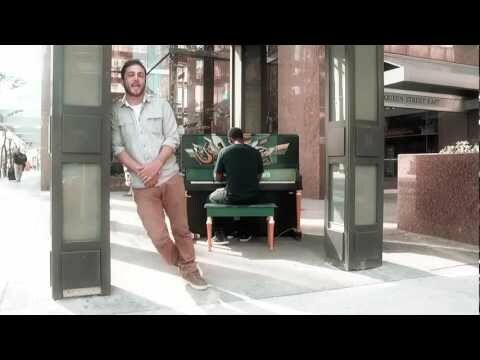 Choose a piano location to post your own videos, photos or comments or to view other people’s listings. First time in Toronto (and in Canada) and I got to play on this wonderful piano! Wonderful idea! Greetings from Spain! Location: The ‘Sam McBride’ Toronto Island Ferry.